Wow, my mind is really fried after having my hubby and kids home for a week and a bit. Holy moley! I made something and don’t know what to call it. It’s for Unscripted Sketches and also some other challenges (finally) so let’s just get on to business shall we? So I get it, at first glance this is a strange mix of things to put on a … well, it’s not a canvas. It’s not even a canvas board. It’s not really a painting either is it? It’s way, way too big to be a card at 7.25×8.25” (it was supposed to be 5×7 with 1/4” framing borders but it was just too small for the snowflakes so I added a 3” section). And now it’s too big for any standard frame! It’s too warped to just hang on the wall with a ribbon and too big for my SMASH album! 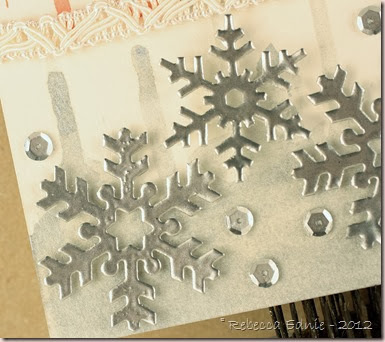 I started with the concept that I would be combining three challenges: The Shabby Tea Room-use snowflakes, silver/white and buttons/bells, obviously Unscripted Sketches and SSS Stamp and Show to use Tim Holtz products. 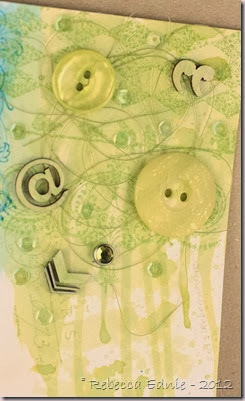 I dragged out all the Tim Holtz stamps I own and was stumped. None of them are winter related at all. 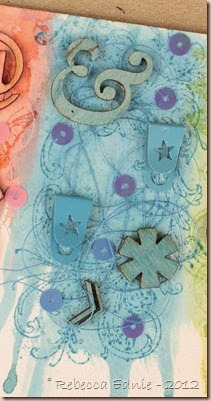 But, I have lots of inks and plenty of stamps that make nice background stamping plus plenty other stuff. So I decided to drip TH inks artfully down a piece of watercolour paper. Hmmm, easier said than done. I chose a great big fat mop brush which would hold lots of paint right? Yep, I was right! However, it seems it didn’t want to release said paint onto the paper, grrr… Ok, second try, smaller fat brush would release the liquid, better but then too many lovely fat droplets ran all the way to the bottom of the page instead of artfully stopping with perfectly round balled ends right where I wanted them too stop. No wonder some artists get the big bucks. This stuff ain’t easy! OK, so my page is dry, some artful drops have been stopped in the appropriate places, now what? So I fill in the space with some TH stamps. So far so good. Then I realized I’ve used butterflies. D’uh. Oh, well, I can cover them up! Up with what? Hmmm… Thus was the journey of the upper part of my… thing. I’ve seen some canvases end up nicer but look similar. The artist adds many items to the canvas disregarding the colour. Then gessos over the whole shebang, spray mists or paints it solid at first, then adding shadows, highlights and a few more embellishments. Tone on tone effect. 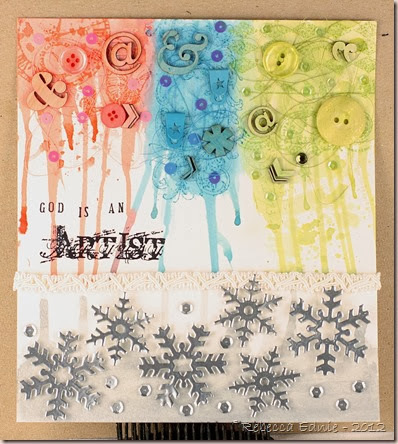 I had planned to add the snowflakes over the coloured drips at the bottom of the upper portion thinking it would create a great contrast, colour vs the silver but instead it just seems to cause competition for your eye and was too crowded. So I added a piece at the bottom and did the same thing with pewter Distress stain as I had done with Distress inks at the top. I started with full strength but it didn’t spread well so I went to a dilute version to help it move then back to full strength to add some deeper colour. I didn’t have silver sequins so I took ivory ones, put a pin in the center and used a silver paint pen to colour them. I stroked outwards and slightly downwards from the center which also served to turn them as I coloured then just moved the pin which moved the sequin across my craft sheet so they could dry. Wash, rinse, repeat! Sorry that was so long. 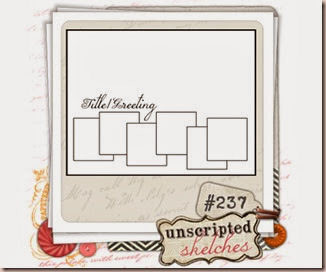 I hope you will play with us this week at Unscripted Sketches. Hopefully you all had great weeks visiting with family and friends, you stayed safe and healthy, the busyness is over and you all have more time off to enjoy! So why not spend some time playing our sketch? The more the merrier! 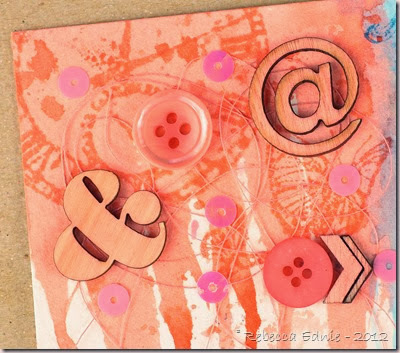 Stamps: Tim Holtz various, Mini Alpha-SU! Love the drips and artistry of this! Wonderful take on the sketch! The colors and embellishments are so lovely! There is so much interest yet so harmoniously complimenting each other in the elements!Really, love this. Happy New Year!